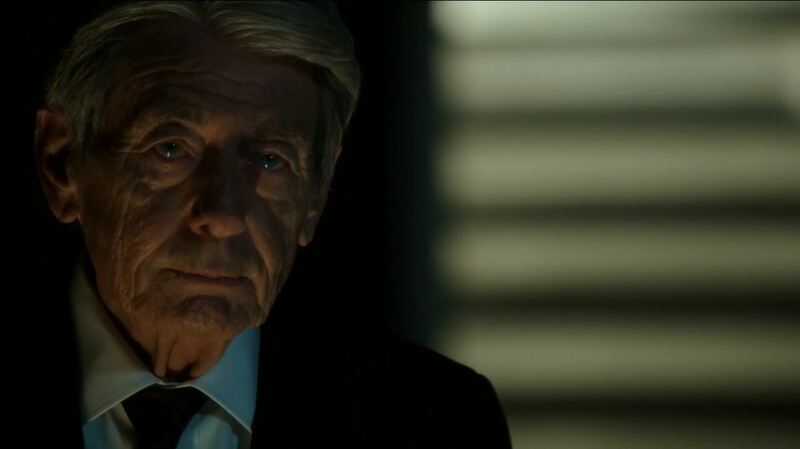 Person of Interest not only knows how to blow away half the cast but also the audience in this weeks spectacular episode. I had seen the preview trailer and I knew Denise The had written the episode. Yet I was still stunned how well it was crafted. The title is an allusion to the most basic method of programming run-time choices. This episode depicted events from the viewpoint of The Machine as it desperately tries to help Reese, Finch, Fusco, Root and Shaw from being killed by Greer and Samaritan after they are ambushed. Each attempt at giving advice is first played out as a scenario and thus the viewer is confronted with the death of the entire Team Machine. The depiction of The Machine shows much imagination on the part of the writer. However, despite a heart-break ending not everything has finished. Next week the episode ‘Control-Alt-Delete’ will act as the follow-up. Following the stock market crash that occurred in the previous episode, Finch, Reese, Fusco, and Root go to install software at the stock exchange that will stabilize the market. However, they are almost immediately intercepted by Samaritan operatives, who corner them in a room. Out of options, the team turns to The Machine, who in a matter of seconds provides a multitude of projections and outcomes in each (while doing so, it reflects on multiple chess matches it played and the lessons it learned with Finch in 2003). In one simulation, Finch and Root go to install the software while Reese and Fusco secure their escape route. 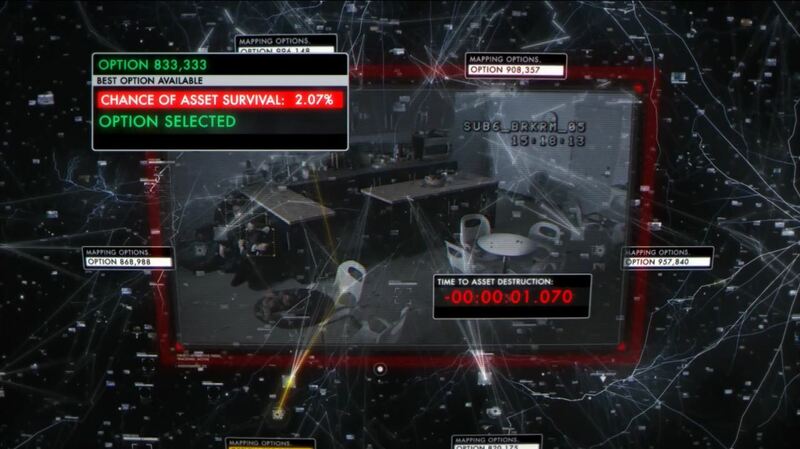 However, both teams are quickly surrounded by Samaritan operatives, who kill Finch, Reese, and Fusco, forcing The Machine to reset the simulation. In the second, the two teams switch places (Reese and Fusco install the software while Finch and Root secure the route). Here, Reese and Fusco are once again trapped, and Reese sacrifices himself by setting off a grenade after installing the software. Likewise, Root is killed by Martine and her group of operatives while trying to disable an elevator lock. In a final simulation, all four of The Machine’s assets move together, securing the software and the extraction. They are once again intercepted before they can escape, with The Machine projecting a roughly 2% chance of survival. Out of time, The Machine selects this as the most preferable and executes it. 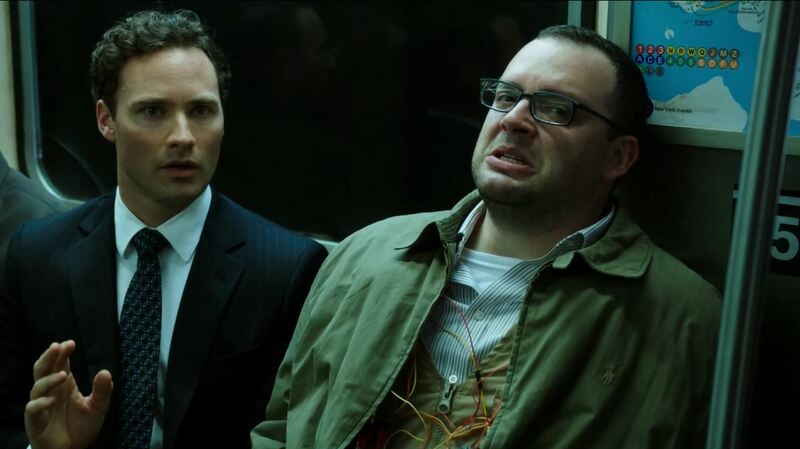 Meanwhile, Shaw is stuck on a subway train with a stock market exchange manager with a security code to the exchange’s server room. However, she is interrupted by a would-be suicide bomber who she kills in the first two simulations (and thus gets herself arrested) but talks down in the last and final outcome. After sending the code to Root, she arrives as the two teams clash, opting to hold the Samaritan operatives off as Finch, Reese, Fusco, and Root escape. 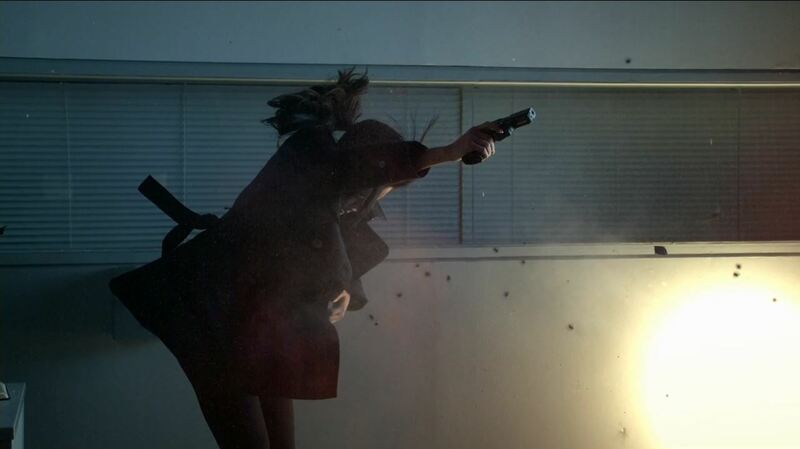 But as the team watches on in horror, Martine shoots Shaw multiple times before approaching her with her gun aimed at her head. As the elevator doors close, a gunshot rings out. This episode depicts the full potential of The Machine as a character. It is something that has eluded the shows creators until now. During the shows first season I was skeptical about the Sci-fi elements of PoI. I thought The Machine’s abilities were just a gimmick. Slowly with the development of the background story of Finch and later on Greer and Decima Technologies The Machine began to develop a character of its own. With warnings of the dangers of a strong A.I it was refreshing to see how Finch taught it a sense of morality. This week those lessons end with Finch teaching The Machine the value of human and how a situation can still be remedied even after a bad move. Essentially Finch taught it to overcome its sense of fear. The depiction of various scenario’s was an effective gimmick to show how The Machine deals with situations. The humor element such as Finch worrying about the genuine Degas painting being shot-up. 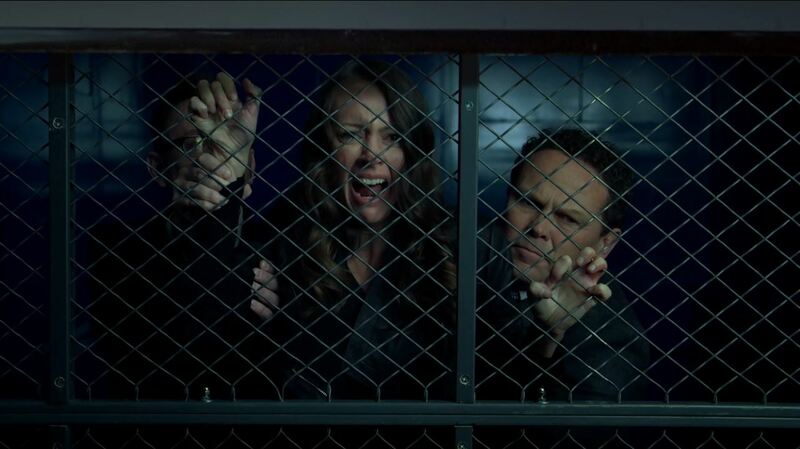 Shaw defusing a bomb with a not so-helpful hostage and Fusco kissing Root contrasted with the dread of seeing our favorite characters being shot when a scenario doesn’t work out. The first time it happens it is a genuine shock, until it all resets to the moment that The Machine can’t hold-off any to advice Team Machine on how to escape the Samaritan trap. That said, despite the humor and the dread as the episode nears its end it does become repetitive. Yet the audience also feels an impending sense of catastrophe because in the last scenario The Machine has calculated a 2.07% chance of success. As the scenario’s play out we get to see what The Machine thinks of Team Machine. We can only imagine it knows what they will do because each deals with their impending death in a distinctly out of character way. This adds depth to Team Machine who have so far seemed near invincible. I hope this characterization will continue in upcoming episode because to me it harkens back to the best moments of season 1. In this episode Shaw and Root finally give each other the ‘yes’ word to a relationship. When the idea was first proposed at the end of the season 2 I really couldn’t see the chemistry. The mere mentioning of the idea was to me a marketing trick. I think it still was, but over time their personalities started to accept each other. I think a relationship between the two is perfectly OK. Yes it is a stunt to boost ratings, but it does give two characters a firm footing on this show. So far, both Root and Shaw have felt expendable. 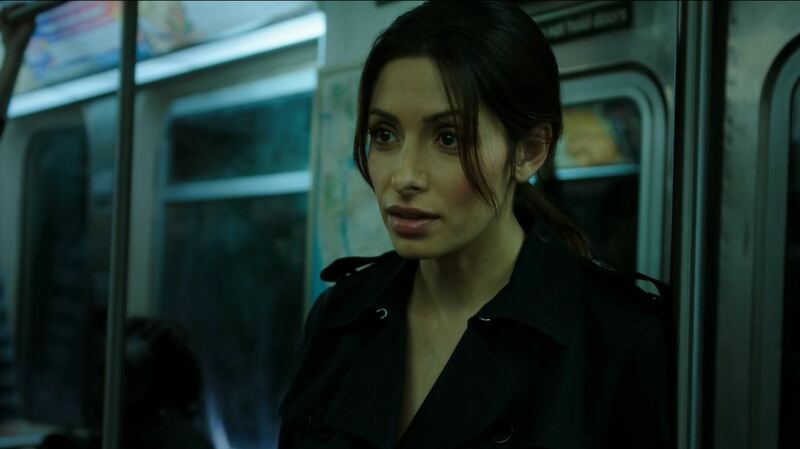 Actress Sarah Shahi has meanwhile become pregnant, which is the real reason for her sudden ‘fake’ death. Oooh well, you can’t have everything. Perhaps she will be back during the course of season 5. 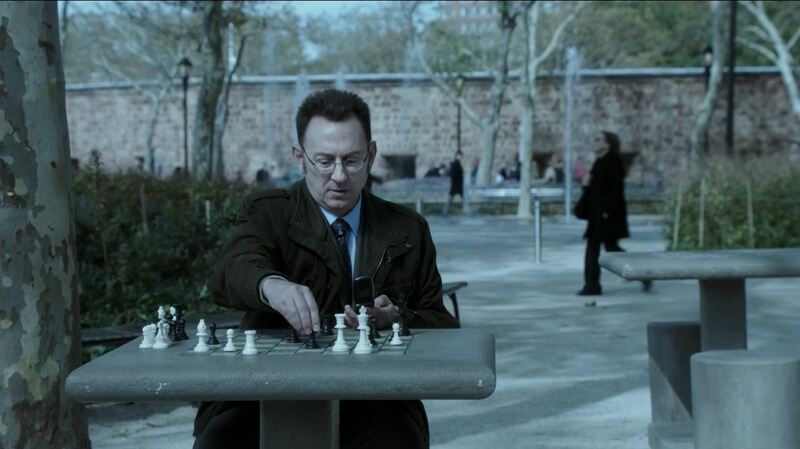 This was Person of Interest S4Ep11 If-Then-Else Review. I hoped you enjoyed this review. Score; 9.8 / 10. Near perfection, wonderfully themed around The Machine. 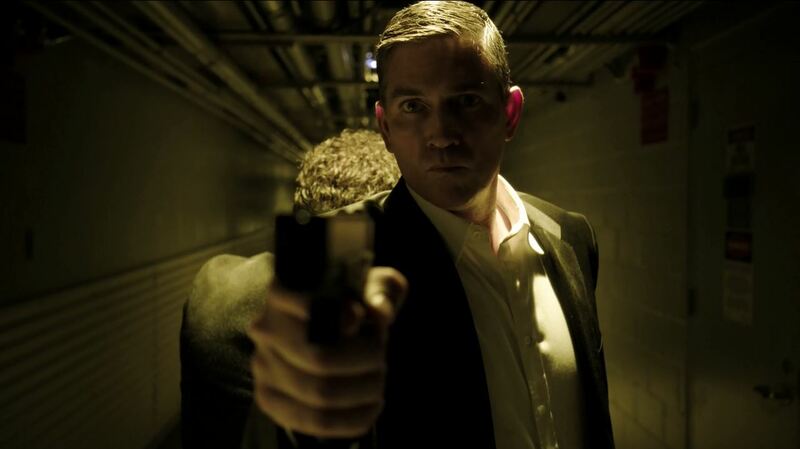 Person of Interest ‘Legacy’ preview!